Arya Trattoria is happy to provide catering options upon request. Excellent food and service. Gnocchi and salmon specials were fantastic. I am hesitant to write about this second floor north end gem out of fear i won’t get a table next time. That said it’s was outstanding. 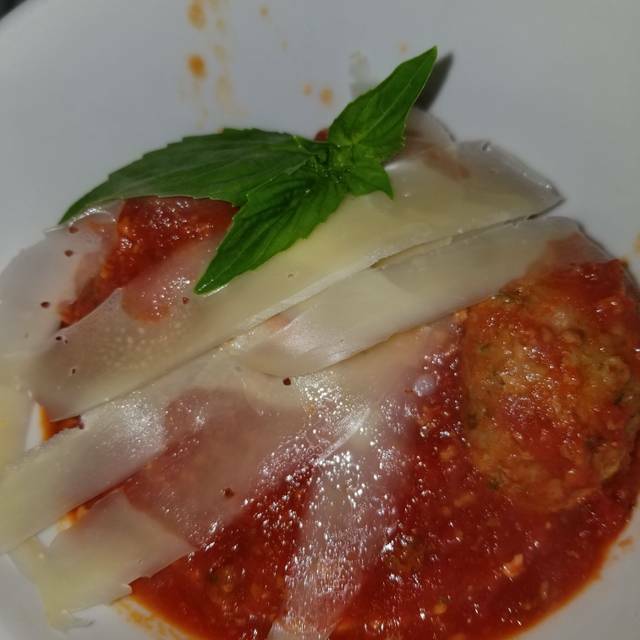 The meatball app wonderful, lots of flavor without hiding it in unneeded extra spices. The sulami plate was great and very generous. But the entrées, were above and beyond! 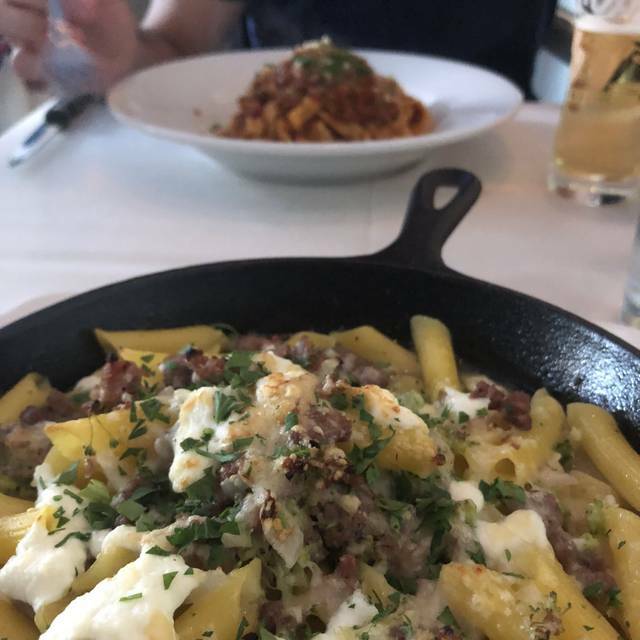 When I couldn’t decide between the cavatelli and the ravioli special the waiter suggested we let the chef decide. The chef surprised me by plating each. I’d say he served a small serving of each, but since I couldn’t finish it all I can’t! Excellent restaurant, food is fantastic. Service is OK. Restaurant is very small and can get pretty noisy. 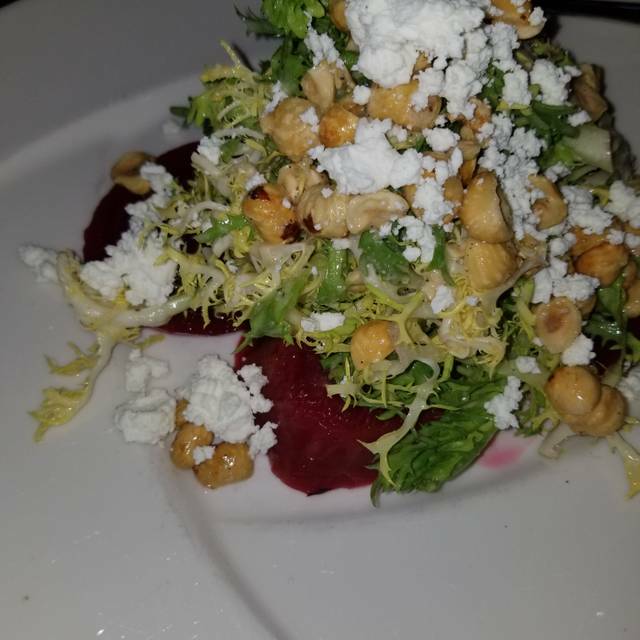 The food is delicious and we had a wonderful bottle of wine, found the food to be a bit expensive for the area but not outrageously and the wine to actually be a bit more affordable than I expected. Come here for the food and ambiance, not the service. They are quick and to the point though, no chit chat, doesn't really bother me but I live in the North End and am used to it. Start with the meatballs and the shrimp! Fantastic food and atmosphere. Great service- one of the best in the North End! I would recommend the restaurant to a friend if they are "urban-savvy". It was very crowded and the host in charge was clearly stressed. He was not a particularly friendly or welcoming person, but we are from NYC, so we don't generally chafe at people who come off as rude, especially when they are working hard. This guy really never smiled, never said Hello nor said Thank you when we left. In contrast however, the wait staff was very polite, enthusiastic and friendly. They made great suggestions and accommodated an allergy request for one of our party with no trouble. The menu is very appealing with something for every type of diner. We had rigatoni Amatriciana, gnocchi with lobster and steak. The dishes were all superb-we were never offered parmagiana at the table, but maybe it was not their way. The gnocchi with truffle oil and lobster was very good-one person in our party got it without the tomato sauce on top, just the cream sauce -which was actually better- you got to really appreciate the truffle oil flavor, which got lost in the tomato. We also got an insalata casa which was very good but very very lightly dressed. They definitely are in a rush to get you out, we had to ask for dessert because they were asking to give us the bill. (it was probably about 8 30 PM at this time, so not that late)-we got tiramisu which was very good, clearly made with fresh mascarpone. We also got the nutella cheesecake-this was too dense and overly sweet and didn't at all taste like nutella-I would skip it. Probably dessert is better elsewhere in the north end like Mike's or Modern- if you have time to wait in line. So yes, I would recommend this restaurant, but you have to be willing to be street smart and advocate for yourself-(probably good life advice too...)-if you want to enjoy your meal! Great food! Cozy! Private! Great staff. Delicious meal and great wine. Started with the calamari and the meatballs - excellent as always. We both opted for the salmon special - delicious! Had a nice valpolicela to round out the meal. Excellent, knowlegable. service. Busy happy crowd on a Wednesday evening. Noise level was high. Valet service worked flawlessly. It was a perfect meal! The food was spectacular and the service was exceptional! Arya is amazing! Literally some of the best Italian food I've had outside of Italy. The homemade noodles are to die for. The bolognese I would eat everyday if I could. The meatballs truly are the best. Every meat and seafood dish we had was perfect. I just wish I lived closer - is be a regular for sure. I love Arya. We have always had a delicious meal, and the service is outstanding!! Since we paid for the birthday dessert it would have been nice to choose which dessert we wanted. We were not asked the dessert was just brought out. My mother and I went here after seeing the Bronx Tale- and the celebrate my birthday. I The ambiance was perfect and they had the windows slightly opened so we enjoyed the light fresh breeze as we sipped our Cabernet. The meals we ordered were delicious. It was a lovely experience all around. Charming meets sumptuous at Arya for our dinner experience. We loved the calamari and perfect meatball starters through to our tiramisu. The osso bucco was tender and dripping with an herb and tomato sauce. Our girls were impressed with their gnocchi and Salmon dinners. My nana would have even smiled and said "nice", "very nice"
This was my first time here with my forever date. The food was amazing, our server was extremely helpful, and the table we got by the windows was a perfect spot for us. Thank you so much for a phenomenal experience. We will be back many more times! Delicious! Would definite eat here again when in Boston. Simply put, some of the best service I’ve ever had! Such an incredible place to dine, and to have the owner greet you as you walk in, is the best thing any restaurant could do! Awesome! We loved it! Food fabulous and the ambiance was wonderful. Just the right amount of food and everything was delicious! We had the chocolate cake for dessert. I love this place. The family is there to take care of you. So friendly and warm. The food? Forget about it!! The best!!! Second time here and we will Definitely be back. I loved how Massimo is invested in each diner and table. Appetizers are outstanding; entrees could use a little more finesse. We tried not to let the Very Loud table of high-pitched girls ruin our dinner, and it mostly worked. Aria/Arya definitely added to our North End playlist! We have been to Arya a few times and we were really looking forward to going again for our friend's birthday. It was so noisy we couldn't have a conversation, we had to ask a few times for someone to wait on us, they didn't deliver one of the items we ordered and when they finally did, it was wrong. We were so disappointed because we consider it a treasured resource but I don't think we'll be going back. Our new favorite spot in the north end!! The best dinner experience in Boston. Period. Massimo and his team will take you on a journey through Italy while making you feel as special as the athletes and celebrities that you can spot here on most nights. The food is amazing and the service is second to none. 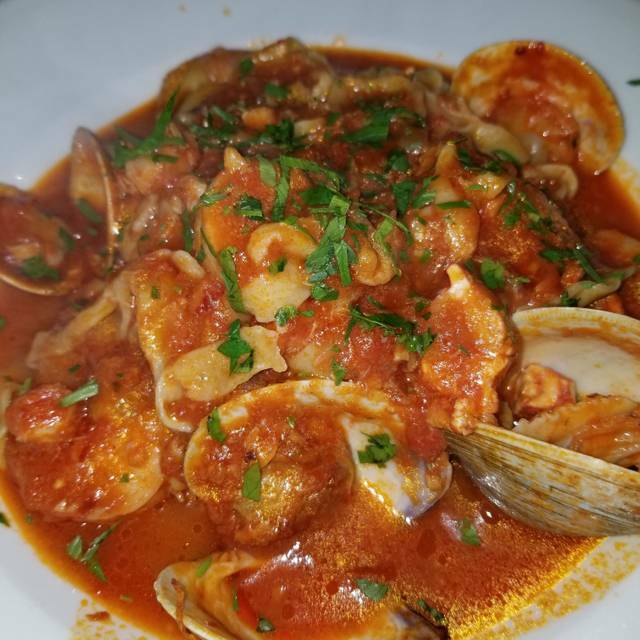 No matter what night of the week you can always expect an incredible meal and night out at Arya Trattoria! 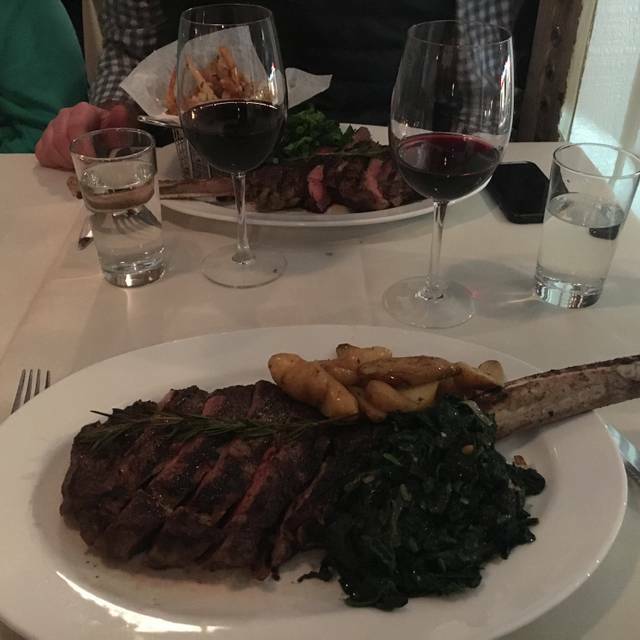 Solid choices, great specials and wine list - and prepared perfectly. Definitely make the effort to get into this family restaurant. Wonderful service with delicious options for restaurant week! I have been here before, but no one else in my family had, and the experience was again amazing. 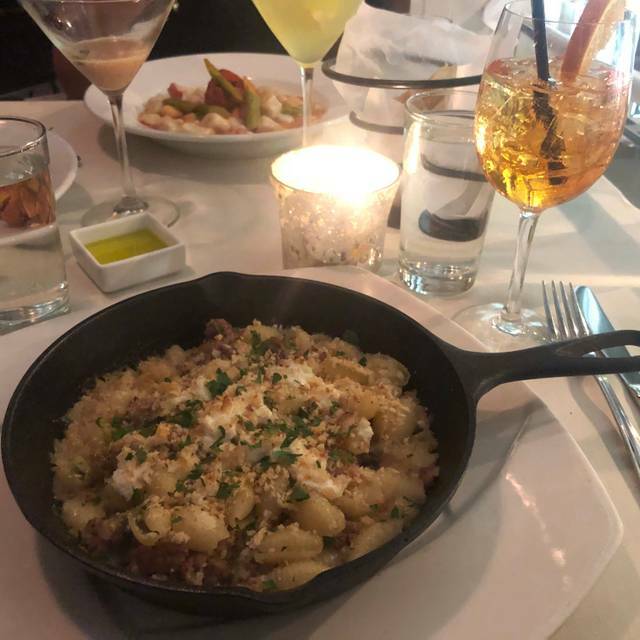 It's been two days since we dined at Arya Trattoria, where my daughters and I celebrated our birthdays with our husbands, and we are still talking about the meal and the experience. 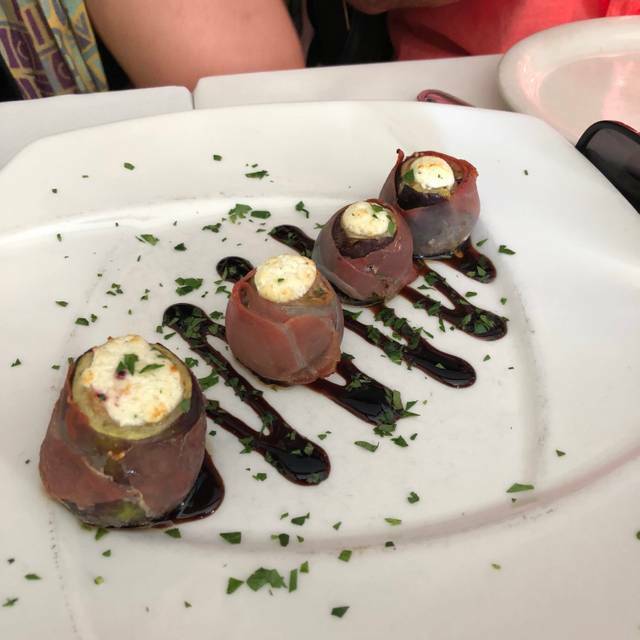 We chose the Fare Un Viaggio option, with the vino volo (wine flight), and let the chef take us on a dining tour that will not soon be forgotten. 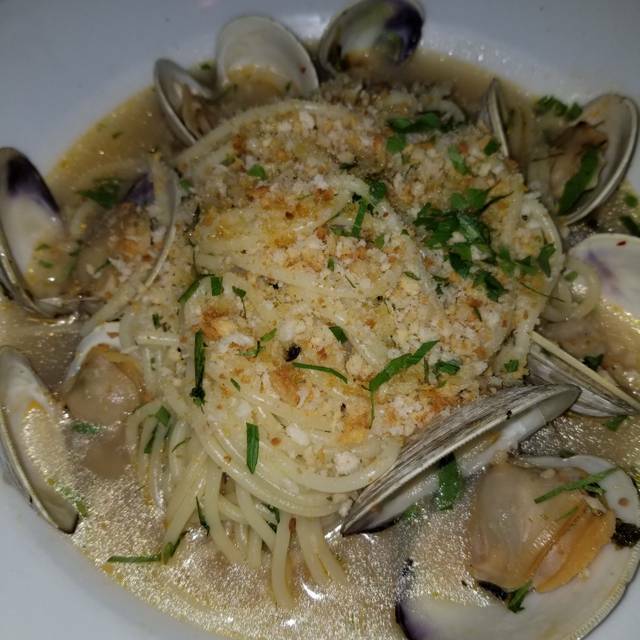 The presentation and service were only surpassed by savory flavors of each mouth-watering dish, as we shared the experience of relishing in the perfection bite after bite. The atmosphere is cozy, intimate, warm, inviting, and feels like family. Our server was beyond attentive and knowledgeable. Truly one of the best dining experiences in some time. Gem in the north end. This was my second time there and the food wine and atmosphere were great. I love this place! My favorite go to in the north end. 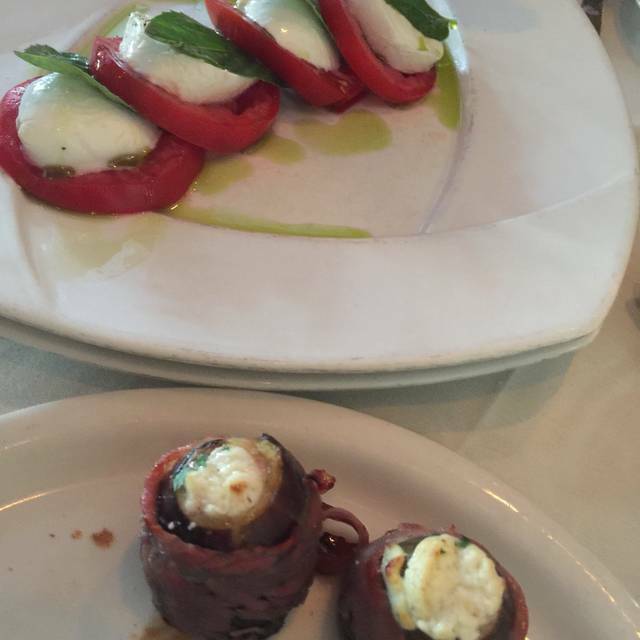 The food is always exceptional and the service is top notch. Special Birthday dinner for my wife and family. Great suggestions, a high level for quality food and service. As always, the owner made sure we had a terrific experience. Well done Arya! Always recommend it!! We have been coming up from RI since the first year it opened...usually in a group of 8-11 and have always been thrilled with everything. This past weekend I had friends coming in from the Vineyard and I chose Arya because they are gourmet cooks and felt confident that they would be happy there. We were a party of 7 and everyone LOVED their food!! Our waiter was fantastic and the owner, as always, made sure we were pleased...I can't wait for my next visit! Great experience from the moment we sat down. Terrific service and really good authentic Italian meal. Can’t wait to go back. Really good food. Attentive staff. Will definitely be back. Best restaurant in North End. Great food, tremendous service, they make you feel like family. Simply the best! Arya ruined what was supposed to be a very special night. Long wait for a reserved table, careless service, average food, very expensive bill for four people, and obscenely loud. Never returning.